Post from last year: Don’t let finals get you down! 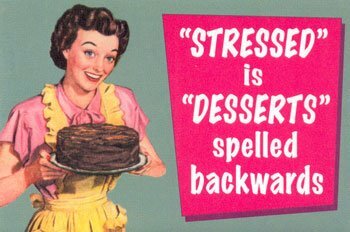 During finals week, it would be tough to find a single student who would not describe his or her mood as stressed. Whether it is the final papers, all-nighters in the library, packing to move home for the summer, or the final exams stacked up one after the other, finals week has a way of getting under every student’s skin. During a week jam-packed with stressful events, avoiding excessive pressure may be hard to do. It’s hard to believe, but there is a reason for stress in our lives. Stress is something that evolved over time to help up cope with difficult situations. Students get stressed about the amount of work they have during finals week, the fact that it is all crammed into one week, and because of the important of the work on their final grades. What stresses me out the most about finals week is that the studying seems never ending! As soon as I have conquered one final, it seems there are always more looming. Many universities plan events for students to get their minds off of work during finals week. The University of Wisconsin hosts “Stress Free Zone” which offers snacks, games, and stress free activities for students to participate in. Other colleges, like New York University and St. Leo University in Florida, host midnight breakfasts for students who plan on spending the night awake and studying. The Gumberg Library at Duquesne is hosting a study break for students on Wednesday, April 28, at 3 p.m., sponsored by the Student Government Association. Refreshments will be served in the Popular Reading Area on the 4th floor of the Gumberg Library. This gives students a break from their studies on the Reading Day, a day off before finals for students to have time to study. So if the stress of finals has got you down, stop by the Gumberg Library on Wednesday for a well deserved break. Or, take a lesson from students at Northwestern, and just SCREAM! 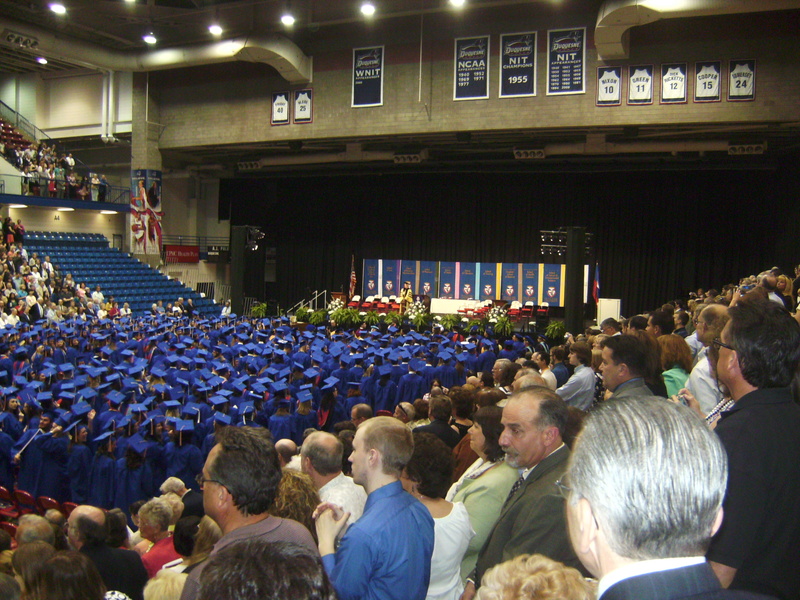 My mind was wandering today, and I somehow got to thinking about what people in Georgia will think about the fact that I went to Duquesne University. My next thought was: what is someone asks where that weird name came from? I don’t even know what/who Duquesne is named after! You’d think that would be something I would know! Pennsylvania = Penn’s woods. 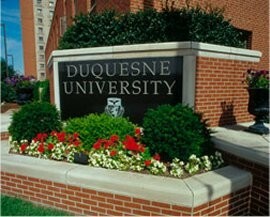 Duquesne = who knows?! 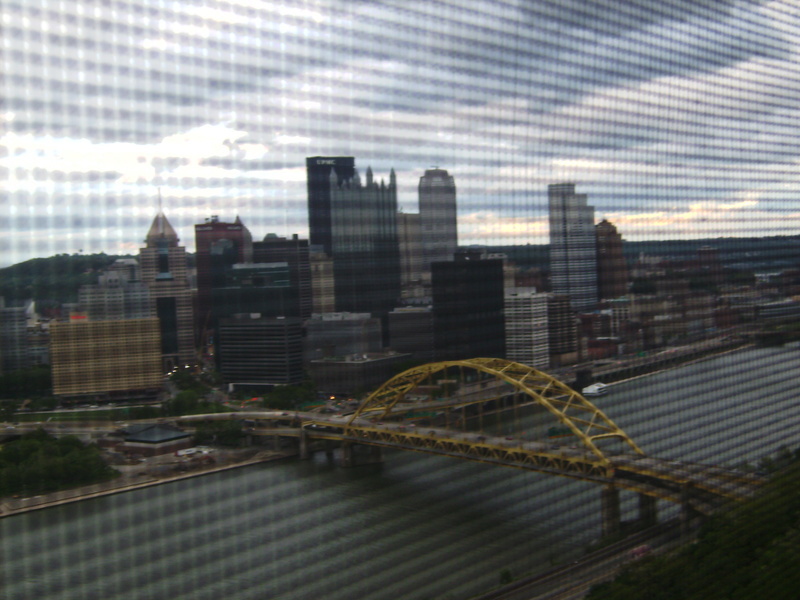 Who was Duquesne, and why was Duquesne University named after him? Maybe it’s not surprising that so many bright young people leave Pittsburgh after attending college here. After all, one of our universities is itself named after a man who never actually set foot here, and the people who first introduced the name to Pittsburgh – like many college students today – stuck around four years, trashed the place and left. In 1754, the Marquis Duquesne, governor-general of New France (or, as we know it today, Canada) sought to curtail the westward advance of the hated English. 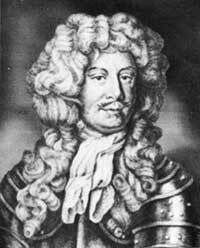 So in April, he sent 500 French troops down the Allegheny to the Point, where an English garrison manned a tiny fort named Fort Prince George, after the heir to the English throne. By 1758, however, the troops at Fort Duquesne had lost many of their Native American allies and were nearly starving. When English forces led by General John Forbes arrived at their doorstep, the French gave up the Point the way they’d taken it: without a shot. They burned down Fort Duquesne and fled into the night, gone but not forgotten. As Rishel points out, the Duquesne name was already well established. There was the Duquesne Club, which borrowed not only the French aristocracy’s names but also its let-’em-eat-cake insouciance. There was the Duquesne Incline, Duquesne Brewing, and the Duquesne Works, a steel mill located in the Mon Valley town of Duquesne. Library– This is the obvious study spot, but it can resemble a war-zone during finals. If you plan to brave the library crowd, find some friends to share a table with, get there early to claim your spot, and please KEEP QUIET! Study rooms in the dorms– Most of the dorms on campus having study rooms, at least my freshman floor in St. Martin did. These rooms are a good alternative to the library, and have enough plugs, tables and study carols. Empty classrooms– If a class isn’t using it, take advantage of the desks and the quiet! 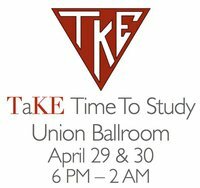 Union Ballroom on April 29 and 30: Tau Kappa Epsilon is opening the 4th Floor Union Ballroom for more study area on April 29th and 30th. The Ballroom is open from 6 PM until 2AM, and coffee and cookies will be provided, thanks to Aramark. Your room/apartment/house– If you have enough willpower to avoid napping in your bed, wasting time on Facebook, or just plopping on the couch and watching tv, your own room/apartment/house is a good, private place to study. Just make the extra effort to stay focused. 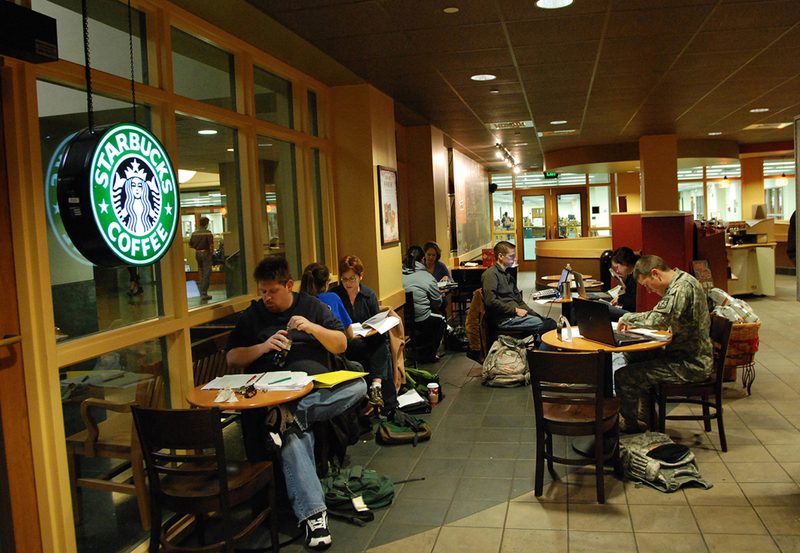 Off campus Panera or Starbucks– When trying to manage the stress of school and finals, sometimes getting off campus is a welcome break. Find a local coffee shop and use the WiFi and tables to get some studying done. Sometimes a change of venue is all you need to get refocused! This is an all-around stressful time for students: finishing up the semester, trying not to blow months of hard work, preparing for a quick transition to summer, along with everything else! Now that the weather is improving, all I want to do it go to lunch with friends and run outside. One of my friends commented that she wishes we had a few days on campus without school before the end of the summer to hang out and catch up without having to worry about tests and papers. 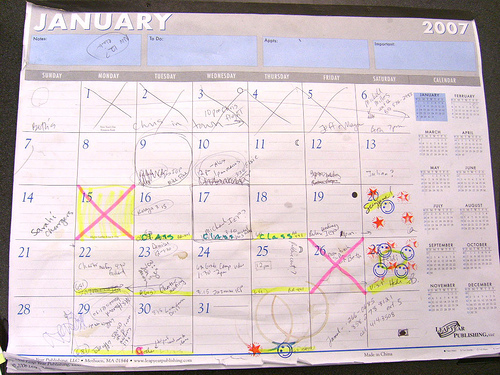 I’ve been making it though these stressful weeks by keeping my calendar straight, doing yoga, and thinking about the bigger picture. Secondly, I am doing yoga. This is not only because I have been tense and stressed, but because I am trying to take advantage of the free group fitness classes at Duquesne. (Here is the schedule: http://www.duq.edu/recreation/_pdf/spring2010groupfitnessfinal.pdf) Emory has fitness centers, but the group fitness classes are extra money, which I don’t plan on spending. 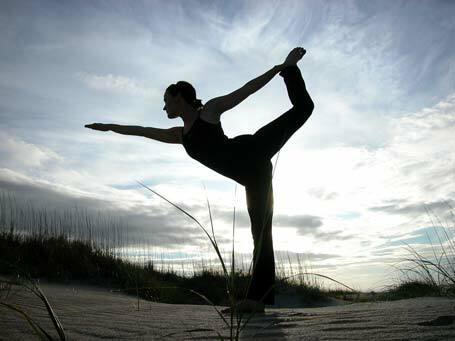 Because of that, I am trying to make time each week to attend one or two classes at the Power Center, usually yoga. Yoga helps me stretch out from running and relax. Finally, I keep myself focused on the bigger picture. Realistically these tests are not the end of the world. I have worked hard all semester and I’m sure I’ll be fine. Stop freaking out. Today I attended the final event of the year put on by the Center for Catholic Social Thought called “Rethinking Development: Institutional Collaboration for Sustainable Societies.” That is a daunting title, but the event pretty much discussed people’s moral obligation to rethink poverty, and consider how developement affects the poor. Honestly, I will get extra credit in my theology class for attending and writing a two page paper, but I found the event really interesting! The keynote speaker was Dr. Daniel Finn, who is a professor of theology and Economics at St. John’s University in Minnesota. He spoke about the Catholic view that people have an obligation to raise the common good in society. 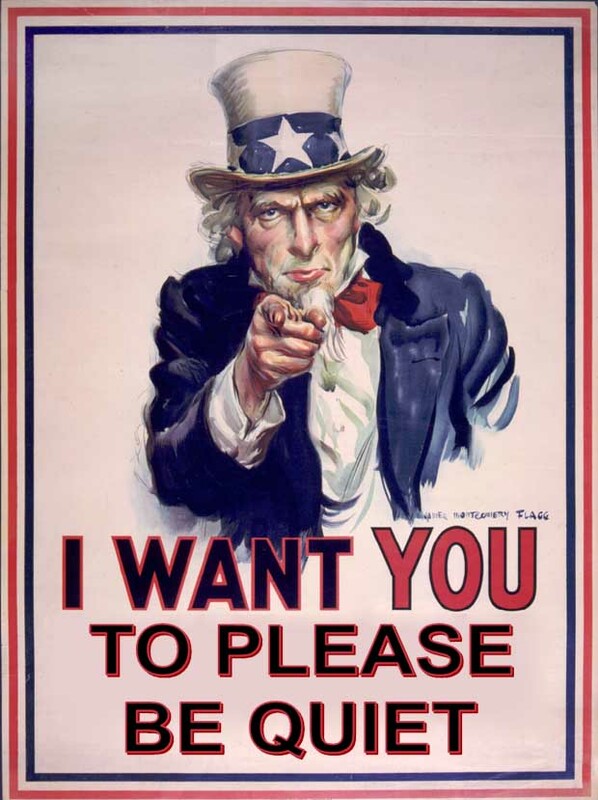 He noted that most Americans think common good is the sum total of all good, but that view is highly individualistic. Dr. Finn noted that the Catholic view on the common good takes into account the communal good, and does not overlook of the good of the poor. After the keynote address, there was a moderated discussion. It was interesting to see professor’s reaction to Dr. Finn’s speech, and their differing ideas on development. The panelists were Dr. James Bailey: Duquesne theology professor (Yay Liberal Arts! 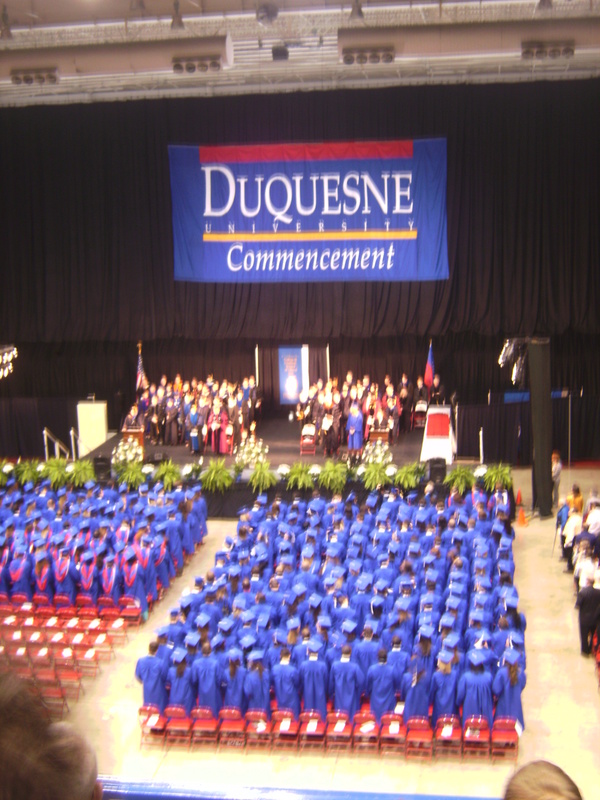 ), Dr. Antony Davies: Duquesne business professor, Dr. Sarah McMillen: Duquesne sociology professor (Yay Liberal Arts! 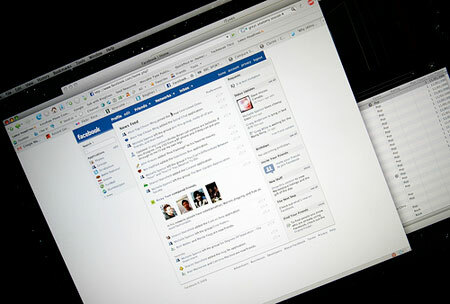 ), and Dr. David Saiia, Duquesne business professor. It was moderated by Dr. Nagaraj Sivasuramaniam, Duquesne business professor. Afterwards, there was a Q & A session and closing remarks by Dr. James Weber, Duquesne business professor and Chair of the Management Department. Overall, the session was interesting and thought-provoking. This was the final event by the Center for Catholic Thought for this school year, but keep an eye out for them again in the fall!